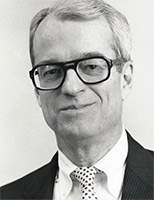 Rad Byerly, Jr., passed away in 2016 after an impressive career that included more than twenty years as staff on and ultimately Director of the Science Committee of the U.S. House of Representatives. He also was Director of the Center for Space and Geosciences Policy at CU Boulder. Rad spent the last years of his career with the Center for Science and Technology Policy Research (CSTPR) at CU Boulder, where he was known as a mentor, adviser and friend with a wicked sense of humor. Following a selection process, Patrick Chandler was chosen to receive the 2019 Byerly award. Biography: Patrick Chandler is a graduate student in the Environmental Studies Program at the University of Colorado, Boulder. His research is focused on the methodologies and impacts of combining art and science to communicate about environmental issues, and he hopes to publish a guide for communities and organizations on that subject. Patrick also works as an Education Consultant for the Washed Ashore Project and has ten years’ experience developing environmental education, stewardship, and science programs including curricula. Previously, Patrick served as the International Coastal Cleanup Coordinator for Alaska and was the Special Programs Coordinator for the Center for Alaskan Coastal Studies.